My primary photographic attention is on producing what I term "Nature Impressions". 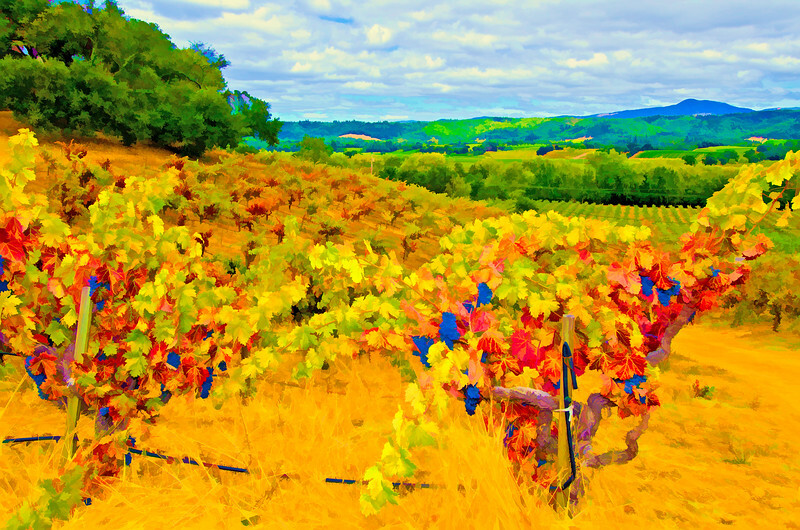 I use the term “Nature Impression” to describe my photographic images that begin as straight photographs of some aspect of Nature; then I apply a sequence of digital techniques to produce an image that has the appearance and feel of an Impressionist painting. For me, these images depict the vibrancy and energy that dwells inside each aspect of Nature. I have spent several years working with these techniques to capture this vibrant energy until I was pleased with the final results. If you venture into my images, you will soon see that I love color! In addition to this primary focus of Nature Impressions, this site also contains some of my favorite "normal" Nature photos. These span the gamut of Nature subjects: landscapes; animals (especially birds); and patterns in nature. Much of my work focuses on the Western US since I spent the past 40 years living in Northern California before recently moving to Florida. The "Abstract Art Images" Category selection below contains a sampling of some very recent work that is totally different from the rest. Similar to my Nature Impressions work, this Abstract Art work also begins with some normal photo from Nature; then I apply a series of digital manipulations in the computer. The very obvious difference is in the end result. All of my personally-produced prints are issued as limited editions. I personally print my Nature Painting images as giclee prints on archival textured fine art paper with archival inks. This is not available directly through the "Buy" function on this site. If you wish this type of print please send me an email stating the image(s), print size, and number of prints you wish and I will provide you a price for making these prints personally and sending them to you. The price will be the same as listed in the "Buy" function for a matte print of the available sizes, but I can also provide quantity discounts based on the number of prints you order. All of my personal prints will be signed and numbered. You can send an email to me by clicking on the "contact" link at the bottom of this page. Just select any of the Categories below to access individual Galleries of images that fit the Category. I hope you find them pleasing!